It gives us great pleasure to introduce, Classique Events Place Pearl Hall. A one and a half acre piece of property, uniquely brick built with the state of the art facility within a well kept vicinity. 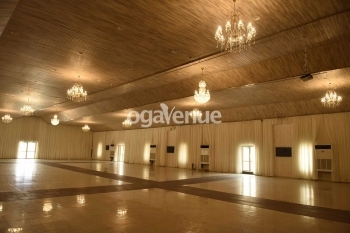 It is spacious, fully airconditioned and highly insulated with capacity to host up to 500 guests in banquet settings and 1000 guests in theater settings. This makes it convenient for us to host both corporate and retail events in a serene environment. 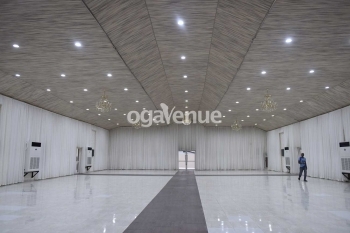 They can conveniently host weddings, corporate functions, parties, banquets, church services and more It further has the capacity to accommodate over 300 cars parked within the premises without obstructing free flow of traffic along the high way. Q: What type of chairs does Classique Events Place Pearl Hall provide? Q: What type of tables does Classique Events Place Pearl Hall Provide? Q: Is there parking space at Classique Events Place Pearl Hall? Q: Does Classique Events Place Pearl Hall provide power? Q: Does Classique Events Place Pearl Hall have Restrooms? Q: Does Classique Events Place Pearl Hall have Changing room? Q: Does Classique Events Place Pearl Hall allow external Decorator? Q: Does Classique Events Place Pearl Hall have a stage? Q: What type of flooring does Classique Events Place Pearl Hall have? Q: Does Classique Events Place Pearl Hall have Chandelier? Q: Does Classique Events Place Pearl Hall have Drappings? Q: Does Classique Events Place Pearl Hall provide security? Q: Does Classique Events Place Pearl Hall provide projector? Q: Does Classique Events Place Pearl Hall allow you bring in your food and drink? 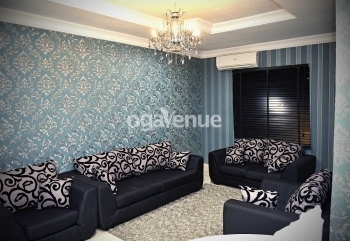 I would say this is the best hall around Ikeja. I attended an event there and i was carried away with the quality of service. I look forward to doing my wedding there sometime soon and i hope the price would have reduced by then. Sorry, not available at Classique Events Place Pearl Hall. Kindly check out other available dates or check out other venues in Ikeja that match your requirements.